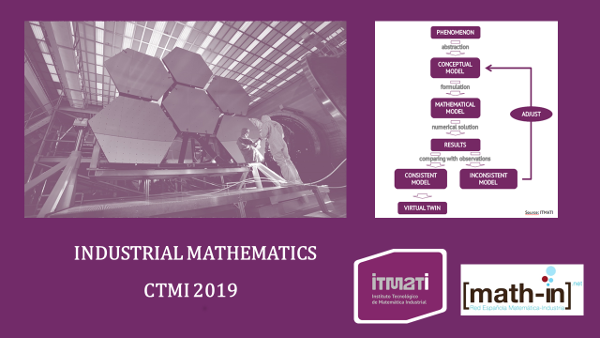 The 1st Conference on Transfer between Mathematics & Industry [CTMI 2019] aims at the promotion and dissemination of the mathematical tools of Statistics & Big Data and MSO (Modelling, Simulation and Optimization) and its industrial applications, the promotion of new research lines oriented to the needs of the industry and in the society in general, the renewal of curricula in this field and at all educational levels and the industry-academia collaboration internationalization. See our goals. 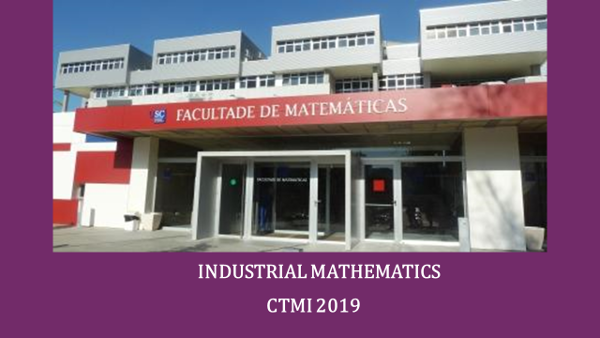 This 1st edition of CTMI 2019 will be held in Santiago de Compostela on 22nd-24th July 2019; in collaboration between the Technological Institute for Industrial Mathematics (ITMATI) and the Spanish Network for Mathematics & Industry (math-in). 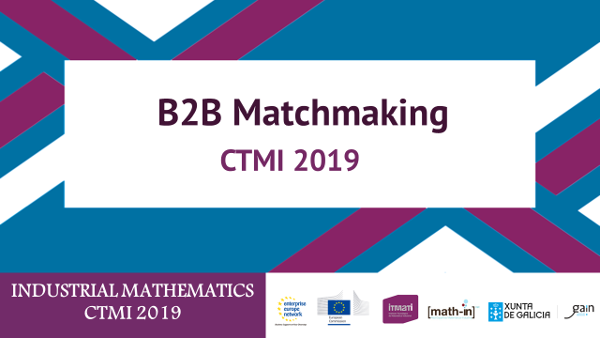 The European Service Network of Mathematics for Industry and Innovation (EU-MATHS-IN) is a collaborator of this international event and supports this initiative. 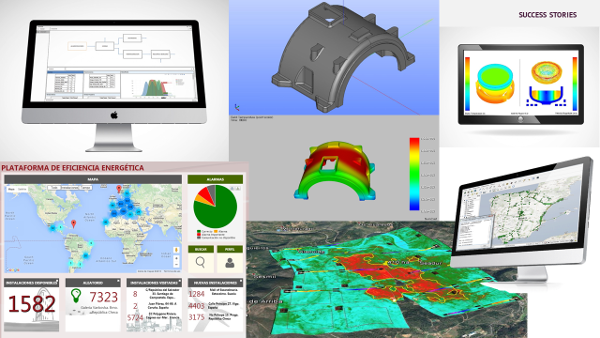 This Conference is a satellite meeting of ICIAM 2019 that will be held the previous week at Valencia, Spain. 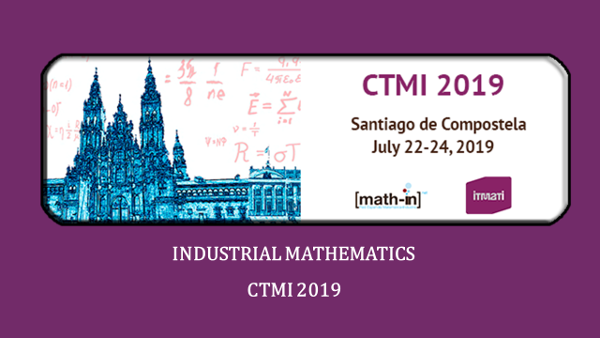 CTMI 2019 will coincide with the much appraised local 2-week long fiesta in honour of St. James, the city´s and Spain´s patron saint (FESTIVITIES IN HONOUR OF SANTIAGO APÓSTOL), celebrated in Santiago de Compostela between the days 18th -31st July 2019. 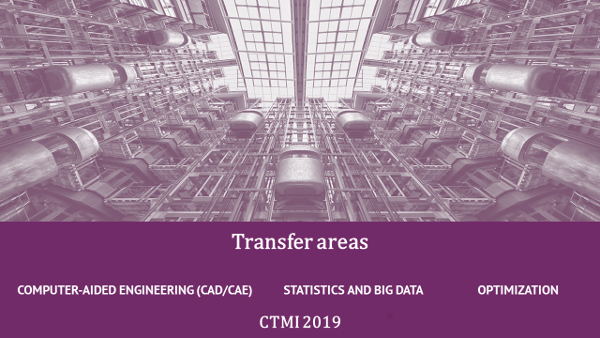 The CTMI 2019 is also co-funded by the Ministry of Economy, Industry and Competitiveness – State Research Agency with the nº of reference MTM2016-81745-REDT through the Thematic Network RTMath-in, granted within the call “Networks of Excellence” 2016, through the Strategic Network in Mathematics with the nº of reference MTM2016-81711-REDE and by the Galician Innovation Agency (GAIN) of Xunta de Galicia. 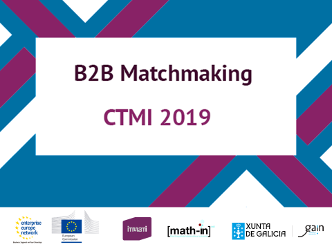 The matchmaking event from 23-24 th of July is co-organised by the Enterprise Europe Network – the biggest European Network that provides internationalisation and innovation support to European businesses.